The hosts have a 1-5 record while the visiting side have a 5-1 record going into this game. 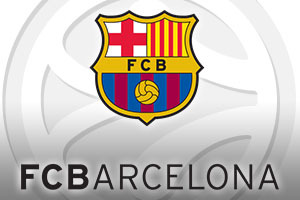 The Catalan giants know that a win in this game will place them into the Top 16 with a bit to spare and you can imagine that they will be looking to do so this week. While Stelmet haven’t had the best of times this season, their home performances have been strong while their home defeats have been narrow. They are obviously up against it on Thursday night but there is nothing to suggest that they will suffer a serious defeat here. The biggest issue for Stelmet is scoring points and they have only managed to notch an average of 67 points per game this season so far, which is the lowest in the league. The Polish champions are first with respect to fouls but that is unlikely to be of much use to them this campaign! Given that Ante Tomic leads the way in points and rebounds for Barcelona, he is clearly the player that will look to push the Catalan club into the Top 16 with another good performance. Justin Doellman has been another player who has offered up some big performances this campaign while Samardo Samuels has shown glimpses of what he can do when his mind is right. Juan Carlos Navarro will also be looking to grab at least one steal to push him up the table of all-time steals. In reality, this should be a night of celebration for the Catalonians but they’ll need to earn the right to celebrate at the end of this one. 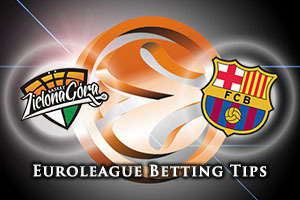 The Catalonians are favourites and if they are really up for qualifying on Thursday, taking FC Barcelona Lassa at -9.5 at odds of 1.90 could be a strong bet. This could be a night where the Over/Under market is of benefit and for this game you should be have an interest in going OVER 147.5 at odds of 1.90. Bet Now!